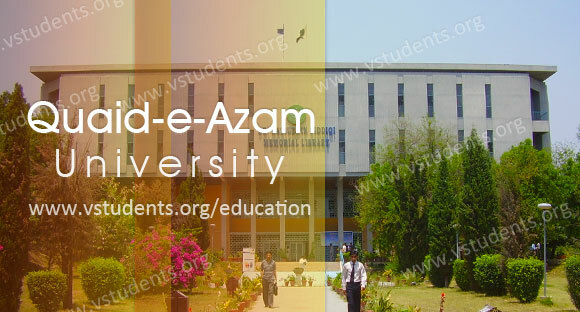 For the encouragement of languages in Pakistan, National University of Modern Languages (NUML) University Islamabad campus is considered as a foremost academic institute. 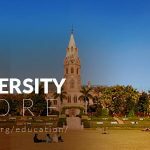 NUML university admission 2018 are opened for spring and fall sessions for many programs and language courses. NUML is impersonated an admirable role in the education for covering many international languages and speakers. 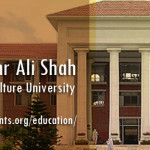 This institute was established in the year of 1970 to help the populace of Pakistan for interaction and understanding each other in various languages. NUML University Islamabad comes with an upstanding aim to comprehend different civilizations to act as starting blocks for emerging fields. Up to this time, it teaches 27 oriental languages in addition to a number of emerging disciplines. Now, National University of Modern Languages Islamabad admissions are opened for the vigorous and well-based research program, like Ph.D. research degrees in various courses also many other undergraduate and postgraduate programs. The institute is now announcing fall and spring admissions in English M.A, BS, MS, MBA, BBA, BS, Ph.D., Software Engineering and many undergraduate and postgraduate programs and short courses with different fee structures. 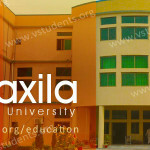 Where the students can be enrolled and get their higher education from NUML’s foreign qualified teaching faculty. Here you will find the all the happenings straight from the numl university admission last date, entry test date, merit list, fee structure for various short courses, application form, and jobs. 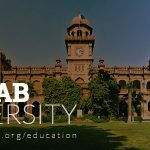 This university gets ranked suddenly due to its quality education and established many campuses in different cities of Pakistan like, Lahore, Mianwali, Peshawar, and Karachi. This institute offers two intakes in a year for admissions, students can apply for spring Admission 2018 and fall admission in 2018. For the latest news and updates about numl admission 2018 please must visit this Admission Details. 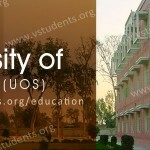 As we know university offers two times admission in many short courses as well as longer courses. Currently, the university is offering admissions in many disciplines and the numl fee structure 2018 is pretty dynamic because every program has a different fee. 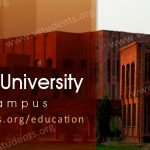 Click Here to check numl university fee structure 2018 for all offered programs. 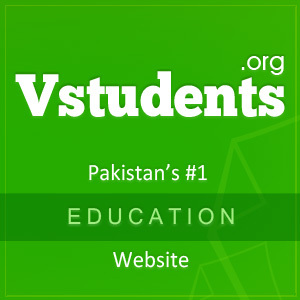 you can also follow the official website www.numl.edu.pk for more details. 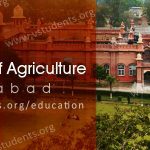 Must check AIOU admission and IIUI admission details. NUML Lahore campus is inviting applications for Admission Fall 2018 in Morning/Evening programs in MBA, M.A English, BS English, M.Com, and BBA(Hons). Applications for short courses in Chinese, German, Korean, French, Arabic are also welcomed. Last date of admission is 15th July 2018. 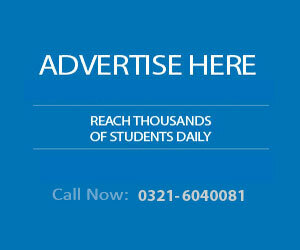 NUML offers BS English four years program which consists of semester system and every semester is of six months. The students must have passed their every semester but in case of getting marks below the settled criteria then they have to retake the paper otherwise they would be dropped for English literature program. Numl admission Requirements: The applicants must have completed HSSC Intermediate degree with 2nd division or A-Level with 50% marks from any registered institution. Get enrolled in Masters of English linguistics & literature of this reputable institute that is giving you the course in three sessions as morning, afternoon and evening classes. M.A English course would be completed in two years with semester system. The candidates having second division in B.A exams or have learn Advance Diploma of English with 3rd division from NUML are eligible for apply. For those students who want to adopt teaching field or become a professional teacher. They have an outstanding option to submit their application forms in M.A English language teaching which will enhance your knowledge about English, will lead you regarding how to teach English professionally, presenting the theory and excellent method of conveying anything. After completion of this program you will be able to apply for teaching job in any recognized school, college or higher educational institute and university. Eligibility criteria: The candidates must be bachelor degree holder with 45% marks or done Advance Diploma of English from NUML with 65% marks. Department of English also offers short Functional courses and Diplomas in following subjects. 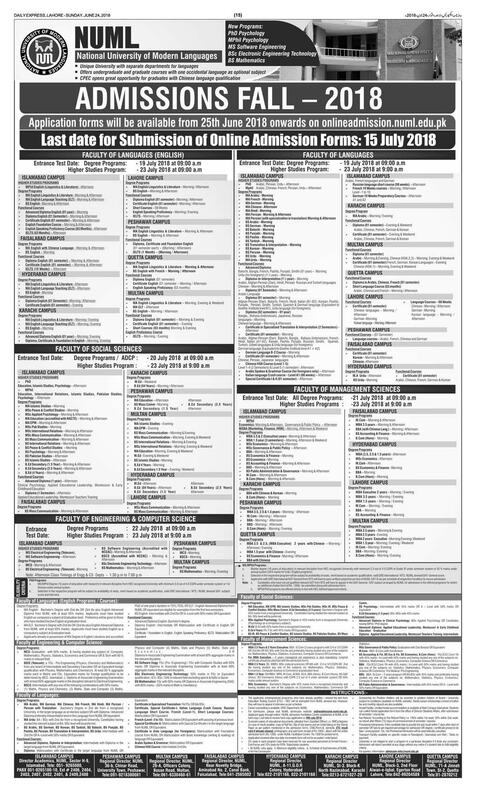 National University of Modern Languages Islamabad required candidates for fulfilling its limited seats of Bachelor of business administration BBA Honors for both morning and evening classes. Only those candidates can apply who have passed their result with minimum 45% marks in HSSC intermediate examination, can apply for this course. Admissions open in MBA Executive Evening, where the students will learn about Marketing, human resource management HRM, Finance, Supply Chain Management and Banking. The university has set the eligibility criteria of minimum having 2nd division in bachelor of arts, BBA, B.COM or BSC. This course is consisting of 1.5 years of duration that will make you specialized in business administration, marketing, finance, HRM and management, The fee structure for this course got changes recently so, please confirm via officials by following the link below. Admission Requirments: Those candidates who have passed their BBA, B.COM with second division, they can also apply for this program but they must passed NUML university entry test examination according to merit list. Which will be organize after declaration the schedule of written test moreover the students holding the degree of MBA, MPA, M.COM will encourage to apply. 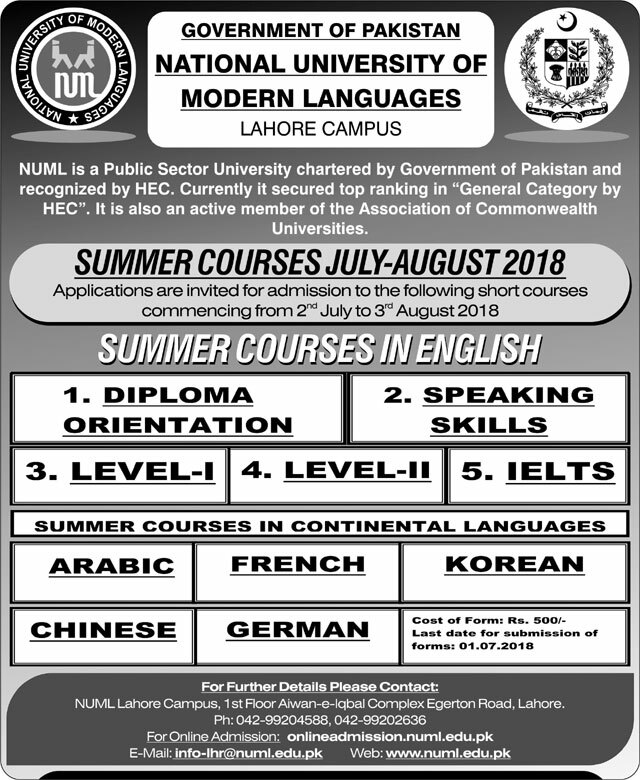 National University of Modern languages NUML Islamabad is also offering admission 2018 in M.COM and MSC Mass Communication where the candidates having bachelor degree with second division can submit their application forms before the deadline for forms submission. what is the fee structure for bsc maths and stats? is numl private or government? and what is the last date of admission form to submit? Can I study any engineering degree or diploma in NUML University Mianwali? If yes! Then in which engineering? is there any seat in korean language for me?? Sir I am a student of BS applied physics I wanted to know if I can get migration from federal urdu university to qau in BS physics from 3rd semester . My CGPA is 3.51..
korean language course detail after august can i apply in korean language course. i want to take Admission In ielts cource. i have completed fsc. what should i do? what is the criteria to get admission in ielts course? Please tell me English spoken course class timings. 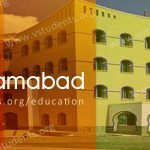 When is the spring semester admission will be announced for BS English in NUML university Islamabad? When will be start three month English language admition and ishas criteria and fee structure plz tell me? Now you can apply for this, numl admissions are opened for spring session.